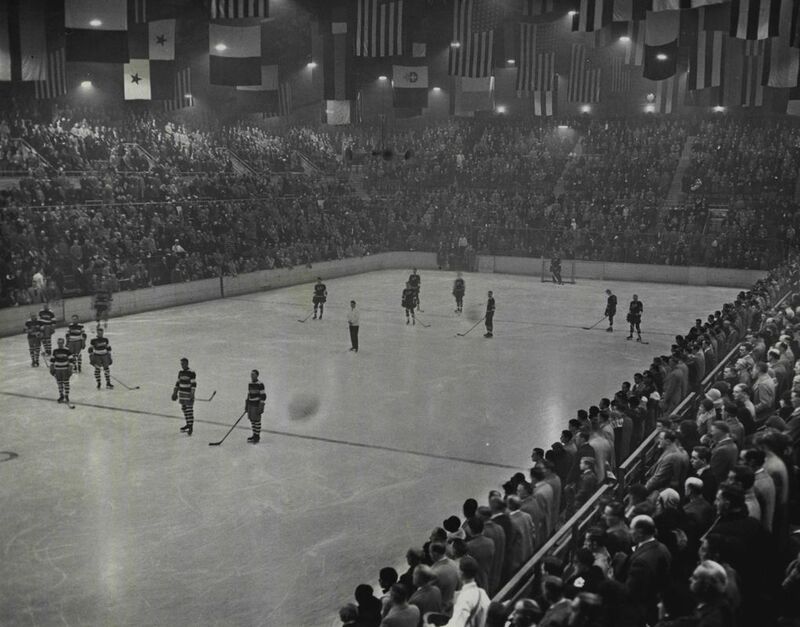 From the 1917 Stanley Cup winning Metropolitans to the 1960s heyday of the Totems, the city of Seattle was long a hockey town, albeit somewhat forgotten since. That should change with this week's awarding of the city's first NHL franchise. The only shots taken by Guyle Fielder these days are on a pool table in the Arizona retirement community where his neighbors get together for regular tournaments. But back when the Seattle Totems were a 1960s minor professional hockey force, nobody could take or set up a scoring shot quite like Fielder. By the time his 22-year career was done, “Golden Guyle” was a six-time Western Hockey League MVP, eight-time first team all-star and nine-time scoring champion in a circuit that was then a pro feeder system to the NHL. Fielder captained the Totems to three WHL championships and his 2,037 combined goals and assists remain fourth all-time on pro hockey’s point list, trailing only Wayne Gretzky, Gordie Howe and Jaromir Jagr. Now, at age 88, Fielder, the top minor-league point-getter of all-time, is thrilled to see Seattle finally acquiring the NHL franchise he’d assumed was coming decades ago. The Totems owned the Seattle pro sports scene, with only Washington Huskies college football and Thoroughbred racing rivaling them in prominence. It had been the same a half-century earlier, when the Seattle Metropolitans under coach Pete Muldoon became the first U.S.-based team to capture a Stanley Cup, went to two more finals and had stars like Frank Foyston, Jack Walker and Bernie Morris that stuck around Seattle years after that team folded. 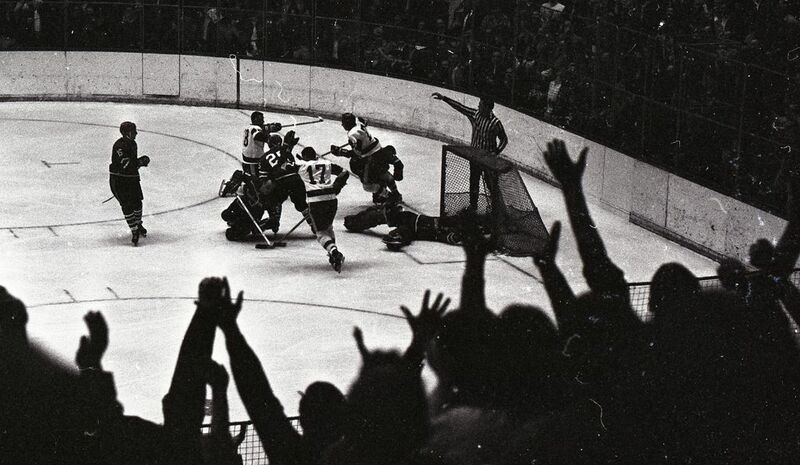 In many ways, Seattle was always a pro hockey town – albeit one that existed largely before television and the internet could preserve the history. What the Totems accomplished through their final season in 1975 wound up largely forgotten by future generations of sports fans, much like the Metropolitans after their 1924 demise and everything else in between. The Metropolitans, a Pacific Coast Hockey Association team founded by future Hall of Famers Frank and Lester Patrick, were named after the Metropolitan Building Company and comprised mostly of players raided from the Toronto Blueshirts. Over their nine-year existence, they featured five future Hall of Famers, including Lester Patrick — who played here in 1917-18 — and Foyston, Harry (Hap) Holmes, Walker and Gordon (Doc) Roberts. On March 26, 1917, playing at the Seattle Ice Arena, the Metropolitans defeated the National Hockey Association’s Montreal Canadiens 3-games-to-1 to win the Cup. The final game was a 9-1 wipeout behind six goals by PCHA scoring-champ Morris at the Seattle Ice Arena at Fifth Avenue and University Street, which officially held 2,500 fans but had more than 3,500 attend that day. The Metropolitans and Montreal met here again for the 1919 Cup, but the series was canceled after five games following a Spanish influenza outbreak that killed Canadiens player Joe Hall. Seattle played for the Cup again in 1920, losing to the NHL’s Ottawa Senators 3-games-to-2. And those big names kept pro hockey alive in Seattle well after the Metropolitans folded and their arena became a parking garage. Former Metropolitans coach Muldoon helped the Patrick brothers form a new minor-league circuit, the Pacific Coast Hockey League (PCHL), buying an ownership stake in the Seattle Eskimos in 1928-29 to play at the new $1.1 million Civic Ice Arena — later known as Mercer Arena. The Eskimos defeated the Portland Buckaroos 4-2 in their opener, with ex-Metropolitans player Walker scoring the franchise’s first goal. A total of 15 former and future NHL players played for the Eskimos over four seasons, but Muldoon didn’t see the finish. He died of a heart attack in 1929 late in his first season as the team’s coach. The league ceased operations in 1931. Two years later, the five-team North West Hockey League was founded with a Seattle Sea Hawks franchise coached by former Metropolitans star Foyston, who got the team to the finals in 1934-35, then won the title over Vancouver the next year. It was the first championship for a Seattle hockey team since the Metropolitans won the PCHA crown 16 years earlier before losing the Stanley Cup to Ottawa. Foyston’s daughter, Barbara Daniels, now 88 and living on the Kitsap Peninsula, remembers how the community treated her family. She’d started accompanying her father to the arena at age 6. Their cabin was on a ranch in Long Lake, near Port Orchard, adjacent a property owned by former Metropolitans star Morris. Daniels said Morris knew her dad liked the area and had alerted him when the neighboring property became available. She remembers Sea Hawks hockey players continuously visiting their home after games. Her father also began a successful turkey-farming business while still coaching and continued it long after his hockey retirement. The Sea Hawks routinely played before home crowds exceeding 4,000, outdrawing what the Metropolitans had gotten. The Seattle, Vancouver and Portland franchises left the league, which subsequently folded, following the Sea Hawks’ 1936 title to play in a revived minor-league PCHL. Foyston lasted another season and then was replaced by player-coach Danny Cox, who got the team to the finals the next two years – losing to Vancouver and then Portland. Despite four finals appearances in six seasons, the franchise secured just the one championship under Foyston, who remained in Long Lake until his death in 1966. 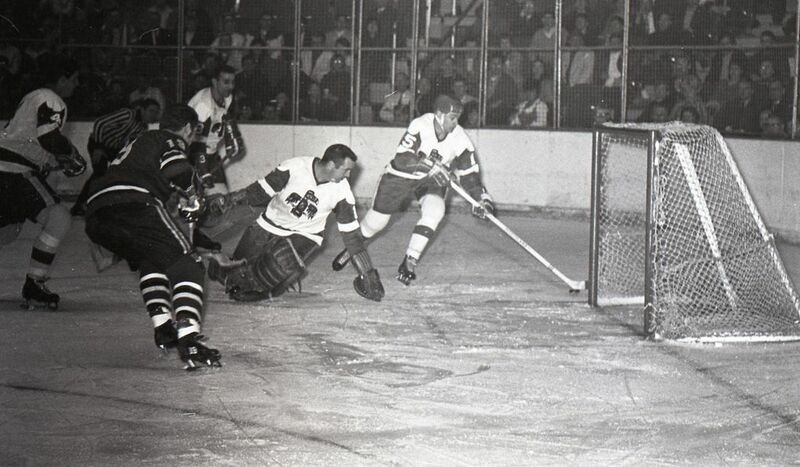 By 1940-41, the Sea Hawks were sold and renamed the Seattle “Olympics” but folded along with the PCHL a year later. A seven-year gap ensued in which the city had only amateur hockey. Then, the revived amateur PCHL tried a third pro incarnation starting in 1948-49 with the Seattle Ironmen as one of its teams. By 1951, the league had morphed into the WHL. The Ironmen that year, already boasting future Totems great Rudy Filion, took on a defenseman named Fred Shero, who later became a Hall of Fame coach of the Philadelphia Flyers. But the Ironmen, subsequently renamed Bombers, Americans and finally, Totems, saw their future truly arrive in 1953. That’s when WHL president and longtime Seattle amateur hockey fixture Al Leader helped lure prized rookie and Detroit Red Wings prospect Fielder from the rival American Hockey League to the Emerald City. Fielder had made his NHL debut for three games with the 1950-51 Chicago Blackhawks, then four playoff contests with the Red Wings in 1953. But there was little room to crack rosters in a six-team league and Detroit was stacked with future Hall of Famers like Howe, Ted Lindsay, Alex Delvecchio and Red Kelly. And Seattle was the place. Fielder joined what was then the “Bombers” and immediately produced 24 goals and 64 assists in 68 games. By 1956-57, the team had been renamed the “Americans’’ and Fielder registered 33 goals and 89 assists for a career-high 122 points. Keith Allen had come over as player-coach that year and took over as full-time bench boss the next season. Then, in 1958-59 – with the franchise renamed “Totems” at the suggestion of Seattle Times sports writer Hy Zimmerman – Allen guided them to their first WHL title. Fielder logged 119 points as the Totems finished with the league’s second-best mark behind the Calgary Stampeders. 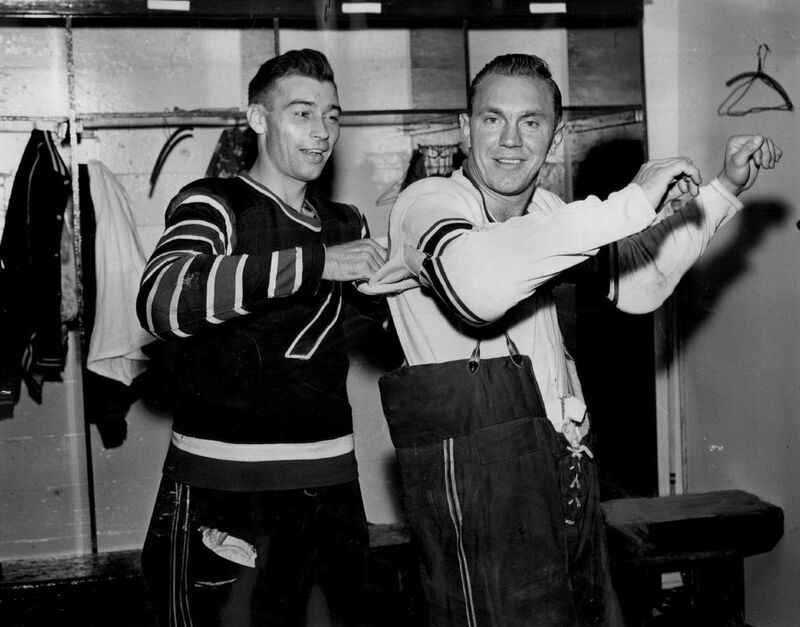 A rookie winger named Tom McVie, who later became coach of the NHL Washington Capitals and GM of the New Jersey Devils, joined a line with Fielder and Val Fonteyne and scored a league record nine game-winning goals. With 30-goal-scorers Fonteyne, Marc Boileau and Filion also on-hand, the Totems swept Calgary in the final. 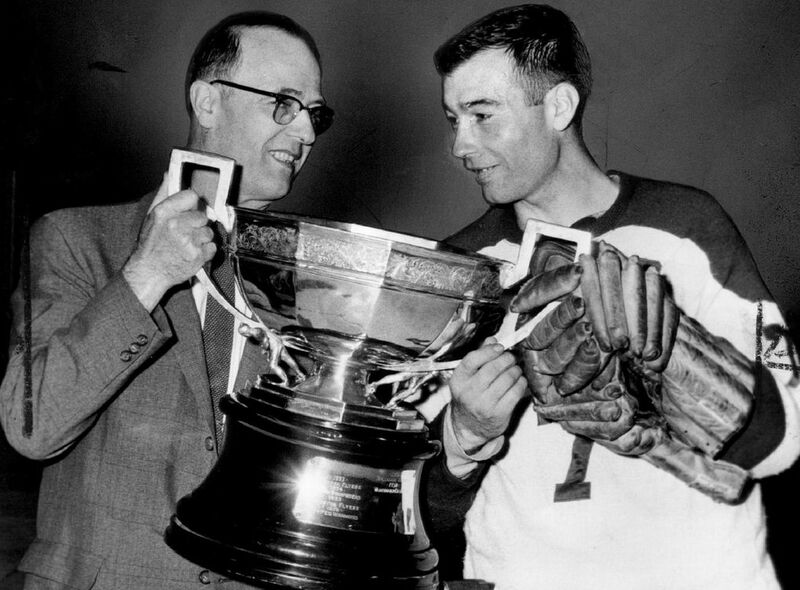 In a true Seattle hockey moment, WHL commissioner Leader – the city’s former amateur hockey guru – presented captain Fielder with the President’s Cup championship trophy. The following year, it was renamed the Lester Patrick Cup following the death of the former Metropolitans co-founder. Fielder recalled feeling the entire city had rallied around the team. “It was a pretty small arena in those days, but it was usually full,’’ he said. 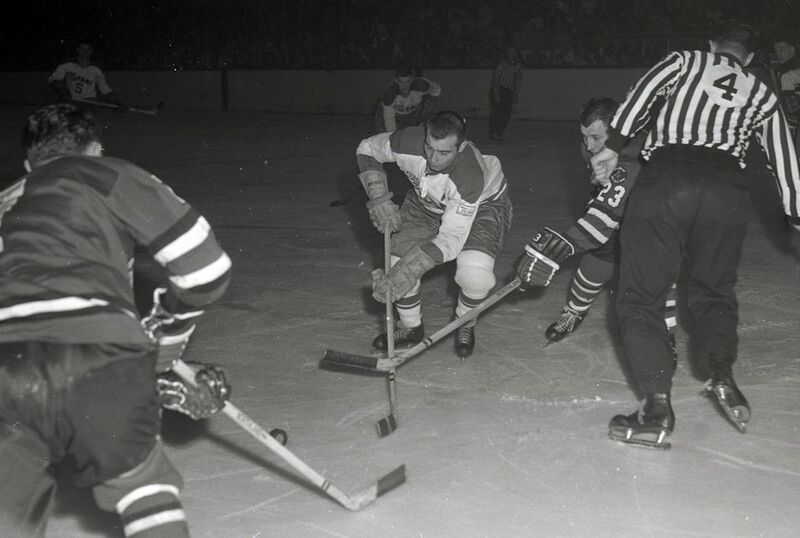 On April 2, 1961, the Totems held a “Guyle Fielder Night’’ at the arena, lavishing him with gifts. 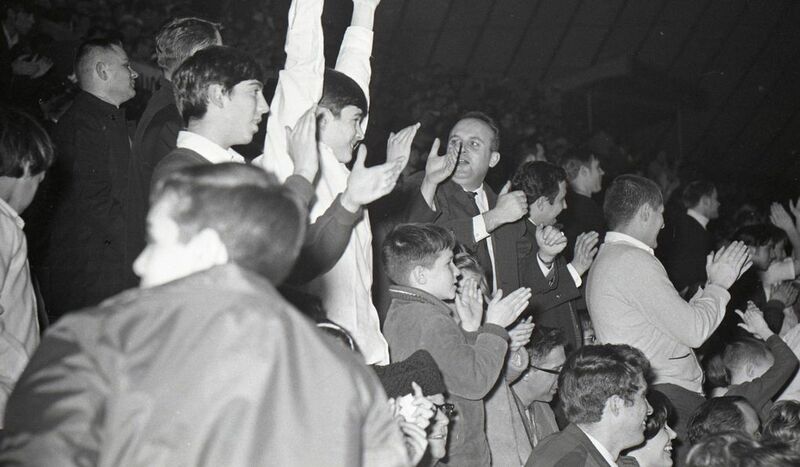 The Totems moved into the Coliseum – now KeyArena – in 1964-65, routinely drawing 10,000 fans per game. Allen coached them through that season, later becoming coach and eventual GM of the NHL’s Flyers and building their consecutive Stanley Cup winners in the mid-1970s. Two years after Allen’s departure, Totems star center Bill MacFarland, who’d played on their 1959 championship team, became coach and won the first of consecutive titles in 1966-67. Fielder again led the offense with 91 points, helped by Boileau, Larry Lund, future NHL coach Bill Dineen and Howie Hughes. The Totems had acquired Hughes from the WHL Vancouver Canucks before that season. When the teams met in the finals, Hughes scored the tying and go-ahead goals late in the game that decided the championship. Hughes, now 79 and living upstate, went on to coach local Seattle amateur teams after his hockey retirement. That Totems team boasted a defense that included longtime Seattle fixture Don Ward and future NHL stalwarts Noel Picard and Pat Quinn. The popular Ward remained a longtime Magnolia resident until his death in 2014 at age 78, though his wife still resides there. Quinn became an NHL coach and general manager for multiple teams, including the Vancouver Canucks. He advocated within the league for Seattle to acquire an NHL franchise. Totems owner Vince Abbey had been awarded a Seattle NHL expansion franchise in 1974, to launch in 1976, but failed to make a required payment on the $6 million expansion fee. The Totems, struggling financially after several down seasons, folded in 1975 and the NHL soon after pulled its expansion offer — ending this city’s pro hockey run for decades. Seattle took another NHL shot 15 years later when ex-Totems coach MacFarland teamed with Microsoft executive and future Mariners owner Chris Larson on a bid. They joined forces with another group headed by Bill Ackerley, son of Seattle SuperSonics NBA owner Barry Ackerley, and headed to Florida for a December 1990 presentation to the NHL’s board of governors. But in a move never fully explained, Ackerley asked if he could first privately address the governors without his partners. While in the room, he withdrew the group’s offer and headed out a back door. There’s a theory he purposely torpedoed the bid so his father’s Sonics wouldn’t face NHL competition. Bolstering that theory, a mid-1990s KeyArena renovation undertaken by Barry Ackerley reduced the venue’s seating capacity for hockey and made it impossible to lure the NHL. That is, until the current $700 million renovation undertaken by Tim Leiweke’s Oak View Group. If completed by its October 2020 target, the new Seattle franchise could start play there that month. For longtime Totems captain Fielder, it’s the culmination of a Seattle hockey voyage he and so many others started long ago. Fielder retired from playing 45 years ago, had to give up golf several years back and now limits physical activity to his nightly pool games. He will be almost 90 by the earliest a puck drops for the new Seattle team. And though Fielder no longer attends hockey games, he would make an exception to come watch that new team in an arena where he and stars of yesteryear once dazzled local hockey fans.